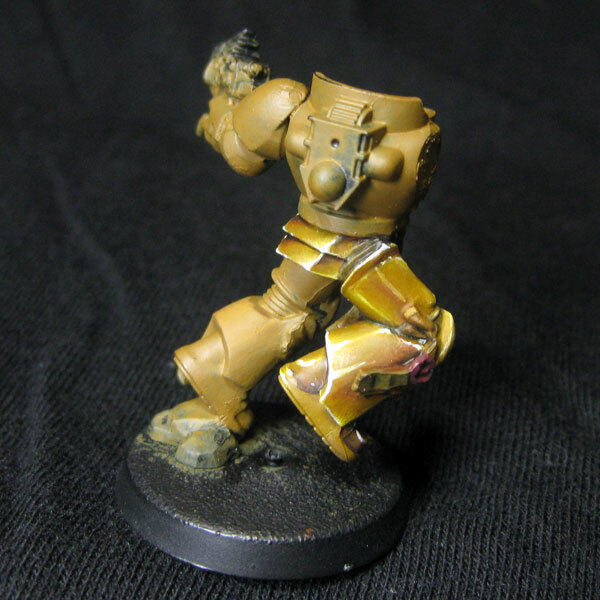 So, I promised I’d show what I had achieved at Tommie’s NMM lesson at Golem Studios, well here it is. After the full day of learning and several re-starts on the thigh piece, this is what I ended up with on Saturday evening. I also want to point you back int he direction of the thread on Platoon Britannica where photos of all of the models have been put up by Tommie Soule and more discussion is taking place (with extra advice from Mr Soule). Take a look! God, I wish I could paint like that. I just don’t know where to start! 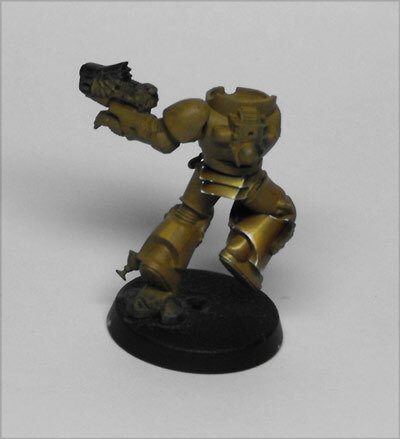 I think you’d be surprised – you just need to spend a time with Tommie ‘the NMM maestro’ Soule 😉 The theories are relatively simple to pick up, its then just the application that needs practice.If you know the ‘traditional’ GW method of painting a gem, then that is a good start. Wow, that’s very cool, the transitions are amazing. Can’t wait to see the finished mini. Thanks for the thread links too, I haven’t been around PB for ages so it’ll be good to catch up!